ISLAMABAD: Pakistan has formally invited India for talks on Indian occupied Kashmir (IoK) dispute that has been the main bone of contention between two neighbours. 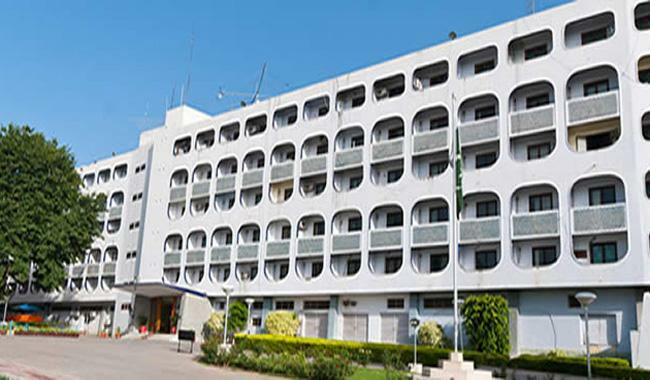 According to Pakistan’s Foreign Office, Foreign Secretary Aizaz Ahmed Chaudhry has written a letter to his Indian counterpart and invited him to visit Pakistan for talks on occupied Kashmir. “The Foreign Secretary called in the Indian High Commissioner this afternoon (15 August 2016) and handed over a letter addressed to his Indian counterpart, inviting him to visit Pakistan for talks on Jammu and Kashmir dispute that has been the main bone of contention between India and Pakistan,” according to the foreign office. It said the letter highlights the international obligation of both the countries, India and Pakistan, to resolve the Jammu and Kashmir dispute, in accordance with the UN Security Council resolutions. Meanwhile, Kashmiris inhibiting on both sides of the Line of Control and rest of the world are observing India’s Independence Day today (August 15) as Black Day to express solidarity with the people of the valley. Protest rallies were held in Muzaffarabad, and also in Islamabad and Karachi. On Monday, Indian security forces continued their atrocities in IoK as two more protesters were shot death. According to Kashmir Media Service, two more Kashmiris were martyred by the Indian security forces at Baramulla. Almost all main roads in Srinagar have been closed by authorities with the help of blockades. Riots in occupied Kashmir took place after the killing of freedom fighter Burhan Wani by Indian security forces on July 8. Thousands of protesters took to the streets to vent their anger at the Indian authorities. More than fifty people were martyred by the Indian security forces and thousands were also injured. Pakistan heavily criticized India for violating human rights and subjecting the people of Kashmir to torture and killings. Indian authorities had suspended cellular network and internet service in order to curb the protests. Hurriyat leaders had also been placed under arrest.